Reading Luke concentrates on the literary and theological distinctives of the third Gospel. Charles Talbert’s effective and insightful commentary enables its reader to see and feel the full force of the literary masterpiece that begins the Christian story in the birth of Jesus Christ and continues in the Acts of the Apostles. Reading Luke is an essential book for students and ministers studying Luke-Acts. Charles Talbert is Distinguished Professor of Religion at Baylor University in Waco, Texas. He is the Reading the New Testament commentary series editor and the author of several of the editions in the series, including Reading Acts, Reading John, andReading Corinthians. 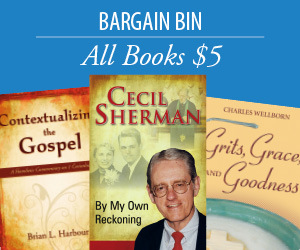 He is also the author of Romans in the Smyth & Helwys Bible Commentary series. "Charles Talbert, perhaps the foremost interpreter of Luke-Acts among biblical scholars in the United States, has produced an unusual and highly readable commentary." 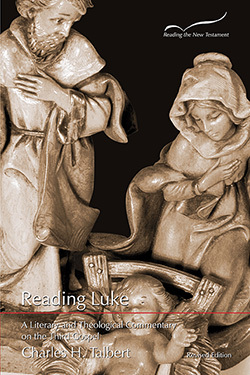 "Reading Luke will reward every serious student of Luke-Acts with an abundance of astute observations and insights."